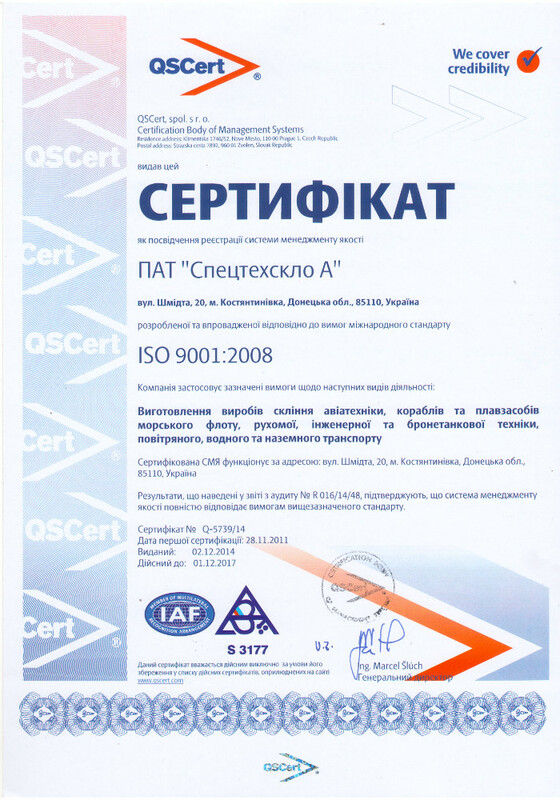 The Certification Body of Management Systems (Czech Republic) has issued the certificate “QSCert, spol. s r. o.” to prove the registration of the quality management system which has been developed and implemented at the enterprise to meet the requirements of ISO 9001: 2008 international standard. 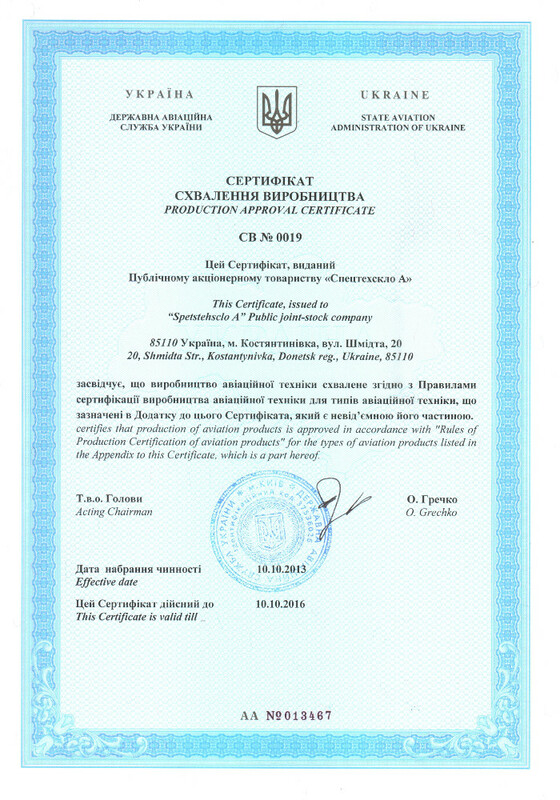 The Interstate Aviation Committee has issued the Production Approval Certificate No. ОП 102-ПКИ. 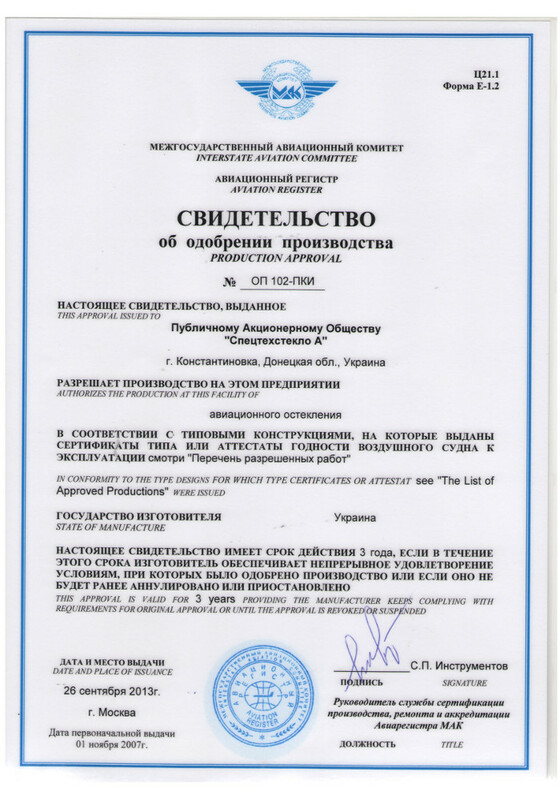 The State Air Service of Ukraine has issued the Production Approval Certificate СВ No. 0019. 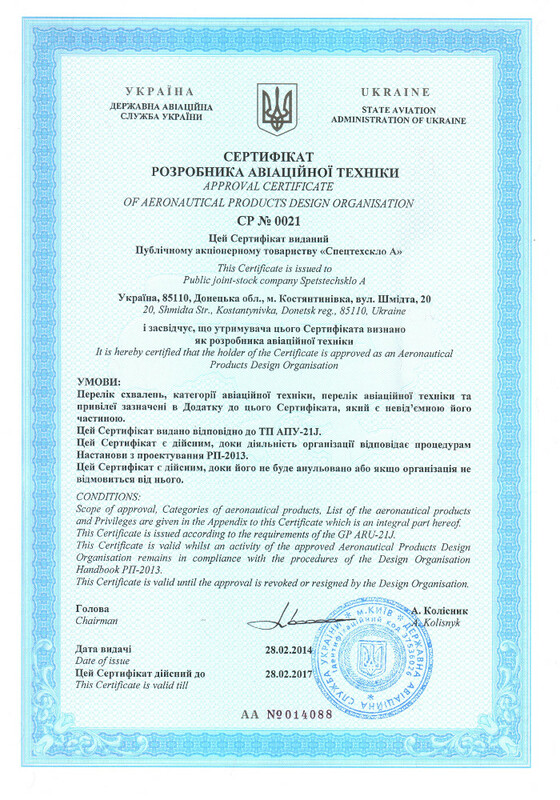 The State Air Service of Ukraine has issued the Approval Certificate of Aeronautical Products Design Organization СР No. 0021.